Philadelphia’s local NBC affiliate addresses issues surrounding sherriff sales. Click the picture below to read more of Isaiah Thompson’s article on nbcphiladelphia.com. 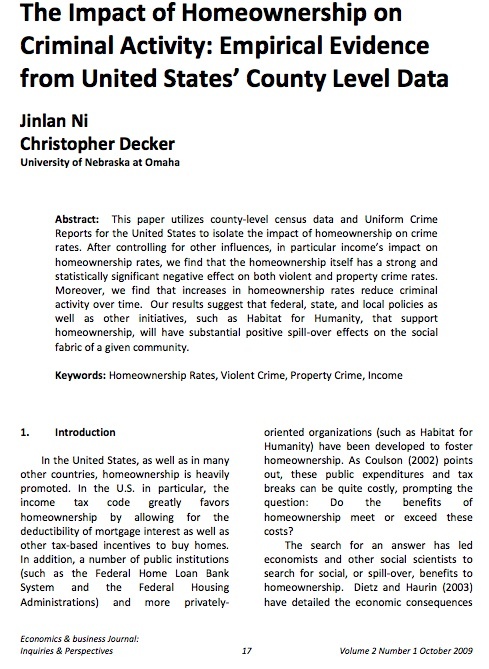 Jinlan Ni and Christopher Decker of the University of Nebraska at Omaha conducted a study to find the impact of homeownership on criminal activity. By using the neighborhood effect,(“individual behavior depends not only on individual incentives but also on the behavior of peers and neighbors”) and many other methods, Ni and Decker examined the effects of homeownership, in a specific area, on crime. By creating a regression model which calculated the correlation between homeownership and criminal activity based on a county’s crime count per capita, Ni and Decker found that homeownership negatively influenced crime. Their focus on homeownership in poverty stricken neighborhoods discouraging criminals proved true in their conclusion. Because of this, Ni and Decker found that financial support for initiatives in these neighborhoods are highly sought after. 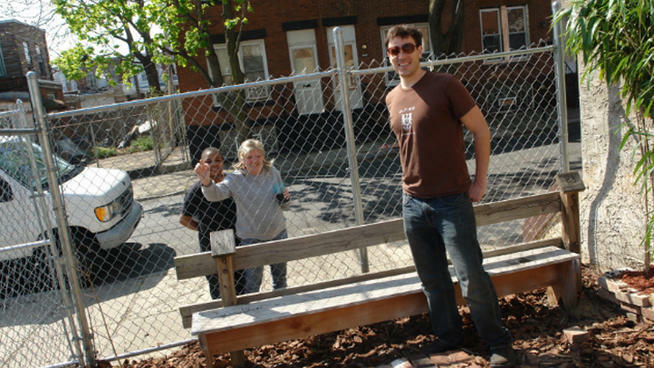 After all, its the homeowners that are more likely to care for their neighborhoods. With more financial help, residents will have the ability to rent with the intention of eventually owning, making them long term residents of the community. This therefore, lowers the amount of abandoned buildings and the opportunity for crime to thrive. Check out the rest of the study!